Rental cabins near the Sandy River in the tranquil mountains of western Maine, where fishing, hiking, and recreational trails are available. Echo Valley Lodge & Cabins offers seasonal cabin rentals (May through November) in Phillips, Maine, near the tranquil Sandy River, where swimming, fishing, hiking, ATV, and hunting opportunities are available. We’re located in a quiet, secluded country setting that is safe for children, adults, and pets. WiFi is available. 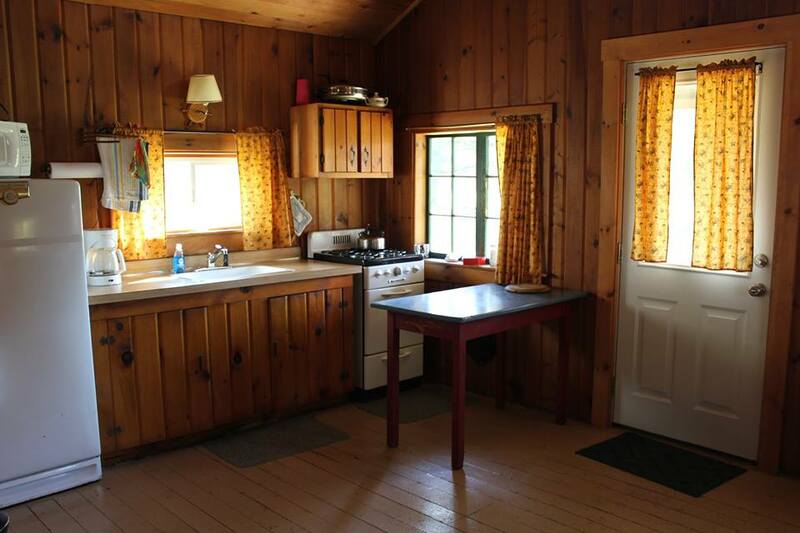 Accommodations for each cabin include full bathroom with shower, kitchen, and a wood stove to take the chill off. Enjoy our outside fireplace for toasting marshmallows, telling tall tales, and enjoying the spectacular night sky. Phillips offers many attractions, such as Daggett Rock, the Flyrod Crosby hiking trail, fly-fishing ponds, and ATV/hiking trails. The Appalachian Trail is nearby, as are other local landmarks, such as Smalls Falls. Shop at local stores, such as Edmunds Market, The Local Bull, and Valley Brook Variety. Antiquing is plentiful in town. Join us for Phillips Old Home Days (third week in August), Summer in Phillips, and the Phillips Fall Festival! A perfect getaway! Seriously, I love coming here, The host & hostess are excellent, it's quiet, comfortable, and downright awesome! Quiet, cozy and just what we needed. We enjoyed the river and visiting with the cows (: We will certainly stay again. Very nice people, peace and quiet, farm animals to watch, and wild game.